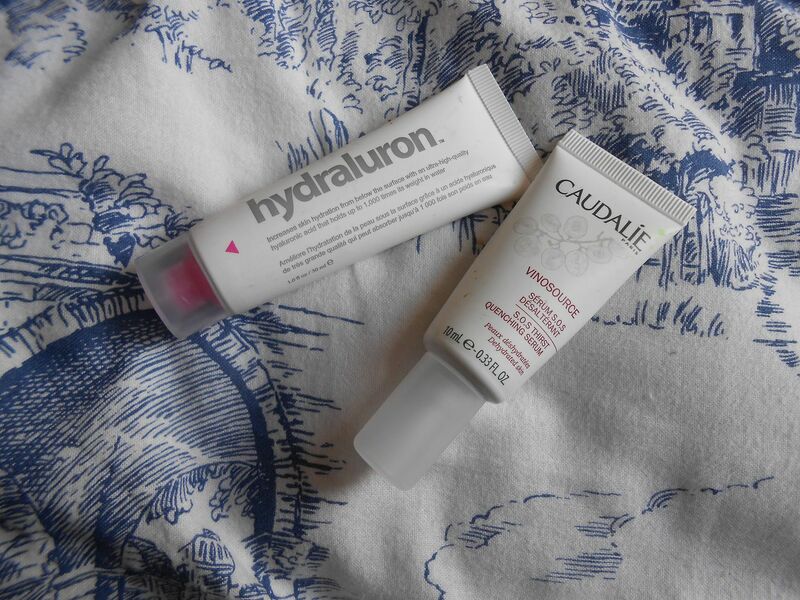 Hydraluron is talked about a lot in the blogging world, mostly due to Caroline Hirons, aka the skincare fairy godmother. She recommend it, and I bought it. Simple. It’s a clear gel which you rub in under your moisturiser and it’s meant to increase the hydration of you skin with the use of hyaluronic acid, which helps the moisturiser to penetrate the skin more and therefore inject more hydration into the skin. My cheeks are dry on a good day, and get all patchy and sore, so this sounded good. I apply a pea size amount morning and night, and it has definitely helped to keep the skin on my cheeks softer and less dry. I’ve only got a teeny tiny bit left of this now, and I will repurchase it after I’ve finished my Caudalie serum. The Caudalie SOS thirst quenching serum is far runnier than the Hydraluron and comes out of the tube almost too easily. It also applies so smoothly that I think it would be easy to over apply the product, as you can’t really feel it on the skin right after you have applied it. It does sink in so quickly though, which is good if like me you can’t be bothered with hanging around for serums to dry before the moisturiser. Over night though, this really helps to restore some moisture, and I wake up with smooth and soft skin. It definitely helps my skin to feel soothed, but overall I haven’t noticed a huge difference in hydration. Not one for the driest of dry skins!